Create your own path of discovery from among our extensive industry offerings. From digital photography and drones to cell phone repair and cosmetology, our Summer Teen Tech Camp engages and inspires campers while honing 21st century skills. Our celebrated Culinary Camp for Kids builds the essential skills needed to conquer the kitchen – even if you’ve never boiled an egg! 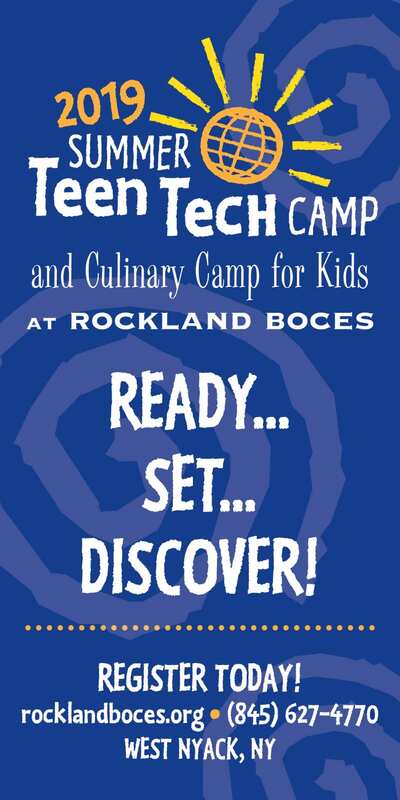 Teen Tech Camp: 9:00 a.m. – 1:00 p.m.
Culinary Camp for Kids: 8:30 a.m. – 3:00 p.m. Under the “Category” drop down line, select “Summer Teen Tech Camp” and click “Search” for a list of available programs. For more information, call Lucy at (845) 627-4770. 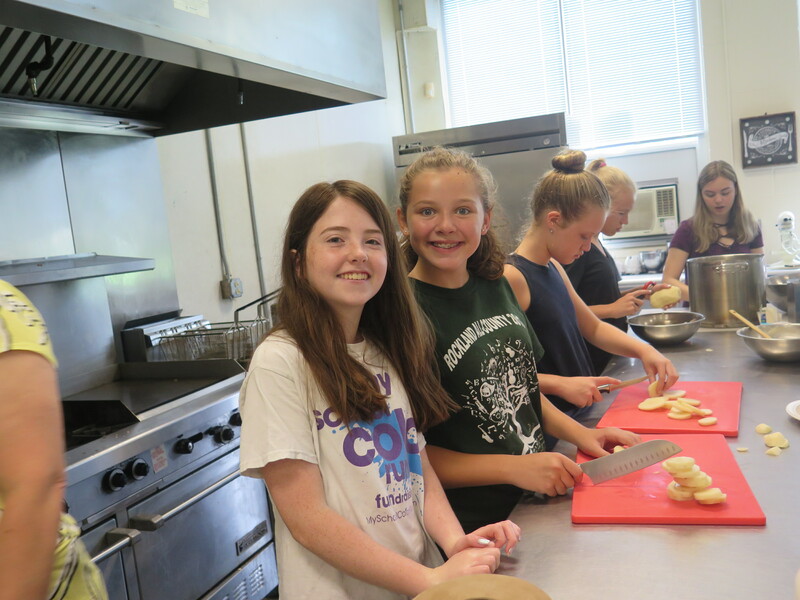 Just Desserts: Campers will work with recipes to learn how to make a variety of desserts in the BOCES’ commercial kitchen. They will show off their skills by inviting guests to the Friday dessert party. Police/CSI & Fire Boot Camp: Campers will learn how to properly investigate a crime scene and field a 911 call, as well as techniques in fingerprinting, handcuffing, self-defense and more! A field trip to the Rockland County Fire Training Center will introduce students to the basic skills needed to be a firefighter. Salon 101: Campers will work in a professional salon to learn the basics of hair styling (blowouts, straightening, curling), manicure/pedicure techniques, make-up application, and skin care. Campers will experiment on themselves, plus work on each other. Welding & Sculpting: A mix of practical and creative, all in one class! Campers will learn the basic concepts of welding as it relates to manufacturing and fabricating as well as design concepts for metal sculptures. Robotics: Campers will work in teams to design and program different types of robots using the VEX Robotics Design System. Teams will participate in competitions throughout the week. Power to Build – Make it with Wood: In our state-of-the-art shop, campers will learn to plan, measure, cut, build and decorate their chosen project making it ready for home use. A safety test must be completed before hand / power tools are used. Car Repair 101 – What Every Teenager Should Know: Campers will work in BOCES’ state-of-the-art automotive shop to learn the basics in automotive upkeep including oil change, tire rotation, detailing and collision repair. They will also explore brake systems, and steering and suspension. Home Repair: You can fix it! In our state-of-the-art shops, campers will learn a variety of skills related to carpentry, electrical trades, and plumbing related to house upkeep and repair. Salon 102: Building on Salon 101, but not a prerequisite, campers are able to dabble in all areas of salon work including hair styling, manicure/pedicure techniques, make-up application, and skin care, OR they can choose one or two of these areas as a concentration and fine tune skills. The choice is yours!! Video Game Art & Animation: Campers will learn basic digital drawing skills using Adobe Illustrator, Photoshop and Flash. They will create and animate characters and background imagery that can be used in the creation of video games. Join us for week 3 – Video Game Development. Building Minecraft Mods: Campers will be introduced to breadboard circuitry then will move onto programming using Python and Java gaining the skills needed to develop their own mods for Minecraft. Spanish & French Immersion: Students will learn about the cultures of Spanish- and French-speaking countries through immersion in their language as well as traditional food, music and dance. Food will be prepared on site in our state-of-the-art kitchen. Arriba! Summer Food Truck Fest: Food Trucks are the latest rage in dining options. Campers will work in teams to create a theme and menus for their own food truck. They will experiment with recipes based on their theme with the week culminating in a competition to determine whose project was most creative, most delectable and more! Caring for Pets of All Kinds: Campers will learn how to care for a variety of pets including dogs, cats, small animals and more. Each day will be dedicated to a different animal group. Field trips will be included! Digital Photography: Through the use of digital cameras, campers will learn to take pictures as an art form, visualizing their objects through the lens using the Rule of Thirds. The use of Photoshop for manipulation and touch-ups will also be introduced. Photos will be displayed in the CTEC Gallery on Friday. Digital cameras will be provided for campers who are unable to provide their own. 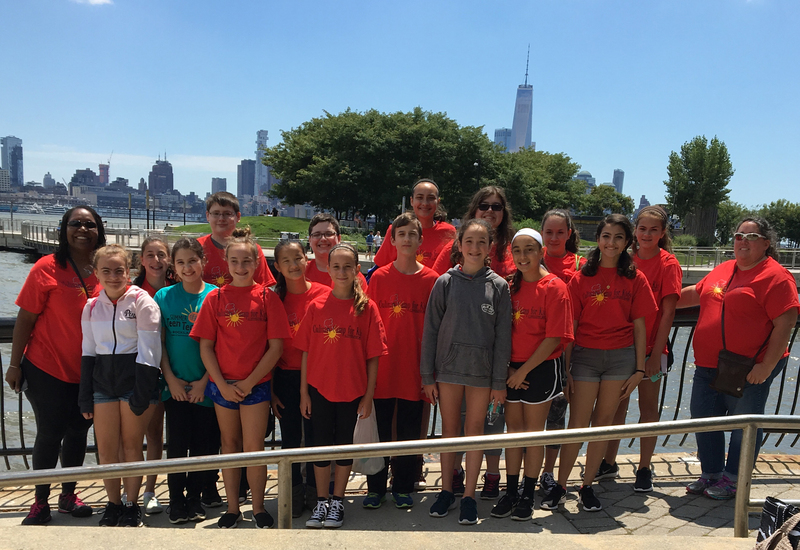 Video Game Development: Using Unity Engine, campers will create their own two-dimensional, side scrolling adventure game that can be published online. Campers who completed week 2 Video Game Art & Animation can migrate their characters to their game. Automotive Detailing & Airbrushing: Campers will learn the basics of the Automotive Collision industry while also using their creativity to design and airbrush graphics for cars, motorcycles, ATVs and more. A completed piece of artwork will be sent home ready for framing! All About Drones: Drones are the wave of the future! Learn about all components of drones and how they operate by building and flying your own. The use of drones in different industries will also be discussed. 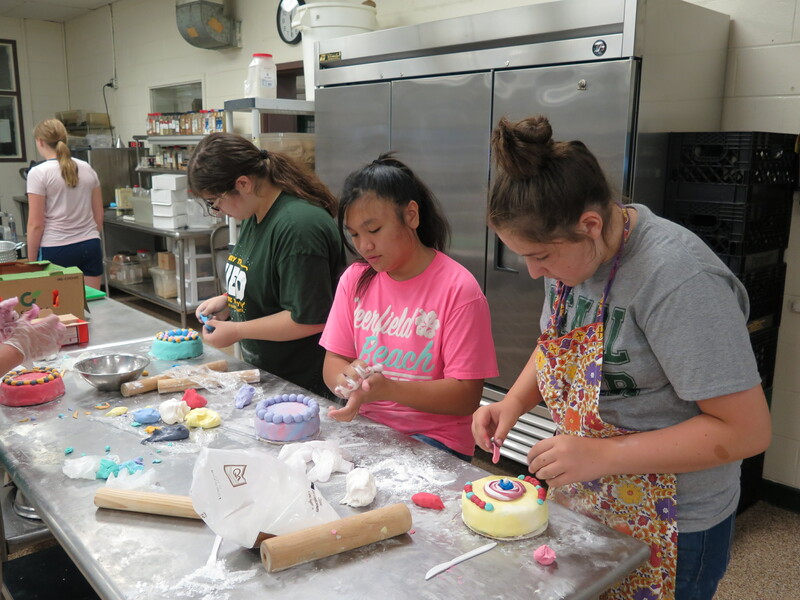 Baking & Cake Decorating: Campers will learn to bake cakes, cupcakes, pastries, cookies, and more from scratch and practice basic decorating skills. They will share their creations with family and friends during Friday’s dessert party. Photoshop: Show off your creative side! In our state-of-the-art, Adobe-equipped Mac lab, campers will learn how to manipulate and alter photographs, and create images and graphics such as logos. This course is a great follow-up to Digital Photography being offered the week of July 15. Cell Phone & Tablet Repair: Become an entrepreneur! Campers will learn how to install iPhone and Android operating systems, as we as replace screens, cameras, and speakers. Old phones/tablets needing repairs welcome, but not necessary. Dirt Bikes & Quads: Campers will learn the mechanics behind the 2-stroke and 4-stroke engines needed to operate dirt bikes and quads. Transmissions, steering, suspension, and brakes will also be introduced. Dinner for three people sent home every night. Each week will feature one field trip. Lunch: Campers must bring their own lunch, snacks and drinks. They will be given a 30-minute break to eat and socialize. Transportation: Campers must provide their own transportation to and from camp. Payment/Refund Policy: Full payment must be received upon registration. Refund policy is listed on the registration site. Sibling Discount: Registering more than one child? Reduced rates are available. Please call Lucy at (845) 627-4770 if you qualify.